I recently received my Comfort Vox Box from Influenster. In it was a box (A BOX?!) 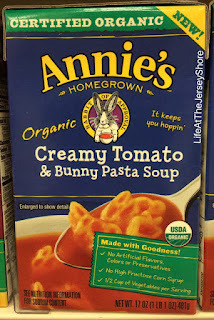 of Annies Creamy Tomato & Bunny Pasta Soup. 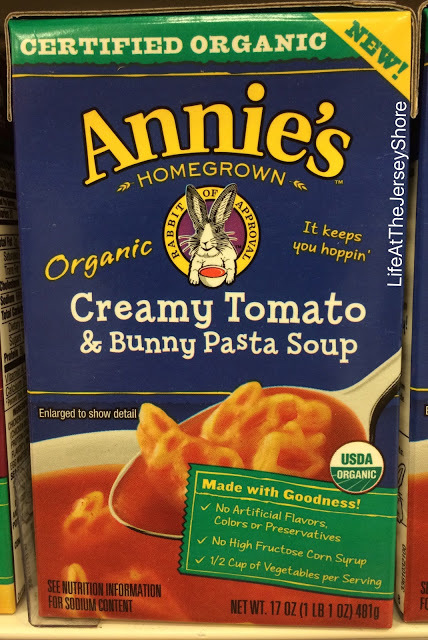 The soup is a creamy tomato base pasta that is bunny shaped "swimming" in it. I'm not a huge fan of tomato soup, but this wasn't bad. It was creamier than what I expected. If you like tomato soup, I suggest you trying this one! And the neatest thing? It comes in a BOX! It is VERY easy to open, and easy to store! ENJOY!